Being able to display an ad in front of this person is a massive advantage to your marketing. 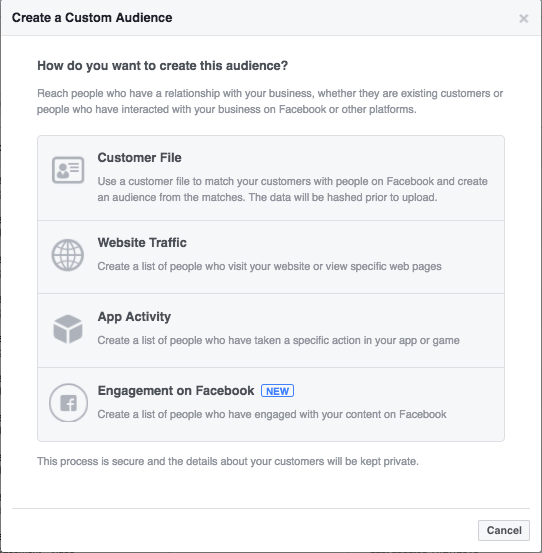 Log into your Facebook Ads Manager and click Audiences. 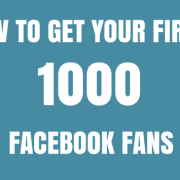 On this page you can then click create audience to start creating your first Custom Audience. A popup will open which will ask you to pick which type of Custom Audience you would like to create. You will have the option to pick between 4 different custom audiences. 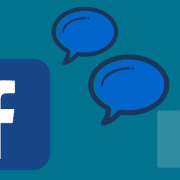 Customer File – A list of email addresses, phone numbers or Facebook user ID’s that Facebook will use to match with users profiles on Facebook. 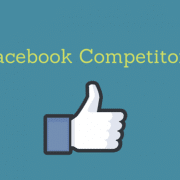 Usually Facebook matches around 60-80% of your list to an active Facebook account that you can market too. Website Custom Audiences – Instead of using a list of email addresses to create a list of people to advertise to Facebook can create a list of people that have visited your website. To do this you will need to install a small piece of code on your website called a Facebook pixel. App Activity – If you have an app you can target people based on the actions that they take when using the app. This option won’t apply to the vast majority of real estate agents. Engagement on Facebook – You can create a custom audience of people that engage with your ads or your page. If you want to create an ad that you can target people from your database then you will want to go with the customer file. You will then have the option to either import a list from MailChimp (an email autoresponder software) or manually upload a CSV file with the data. This is where you can upload your database of emails, phone numbers or Facebook UID’s. Here you will have the option to upload your database via CSV or TXT. If you have your database in this format you can upload that in the box. 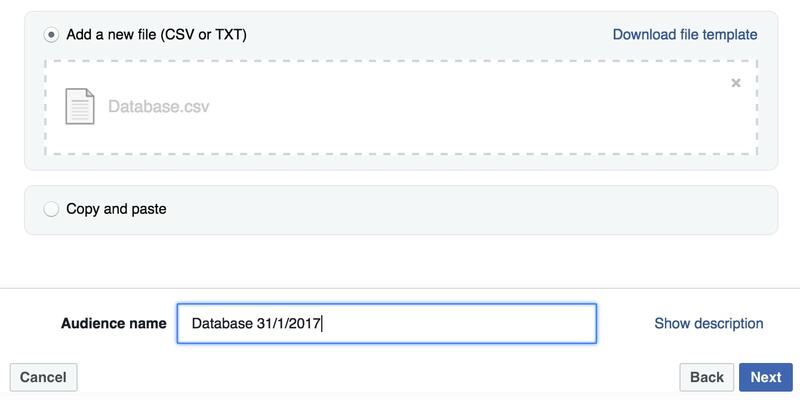 If you don’t have your database in a file that can be converted to CSV or TXT you can copy and paste the information in the copy and paste field. 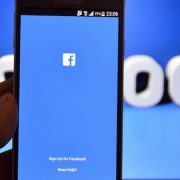 It may be beneficial to have a quick read through Facebooks best practices for preparing your customer data to make sure that it is formatted correctly so that all of your database is accepted by Facebook. Once you have uploaded your database you can give your audience a name. Make sure it is something that you will be able to recognise in the future as you may create multiple custom audiences down the line. Now Facebook will need to map your data. In the list uploaded below there are only email addresses. If you are uploading a list that has multiple elements such as names, emails and phone numbers. You will have multiple fields that Facebook needs to map. Facebook will show a preview of the data and will tell you what it thinks it is. 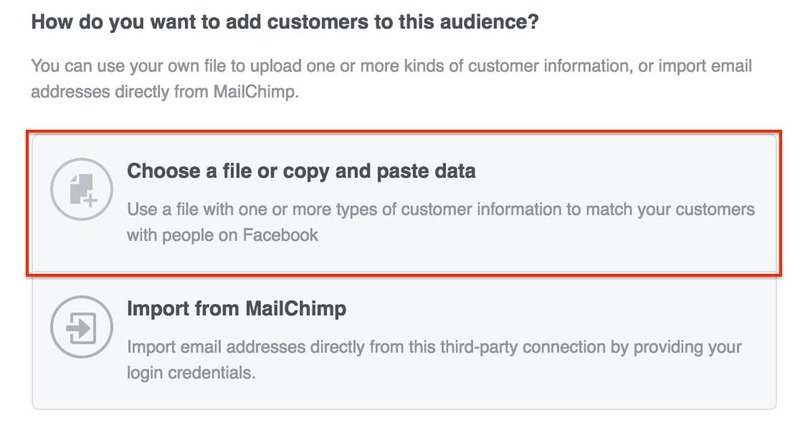 means Facebook thinks they know what type of data this is (but you can change this if it’s wrong ) and will use it when trying to match the information in your customer file to people on Facebook. Only the data with this symbol gets uploaded for matching. means Facebook aren’t sure what type of data this is or you’ve told us to leave it out of matching. 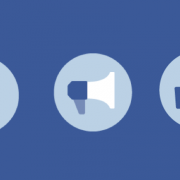 If you get this symbol you can manually tell Facebook what the data is. means the data type has been identified (either by Facebook automatically or by you), but Facebook can’t detect a supported format. You may have to reformat the data in your file or select a formatting option. I there is a field in your database that you don’t want to upload you can select to not include it in the dropdown field. Once you have a green tick next to each field you are uploading you can click upload and create. Depending on the size of your database it can take some time to match each of your customers to people on Facebook. You’ll get a notification when it is complete. 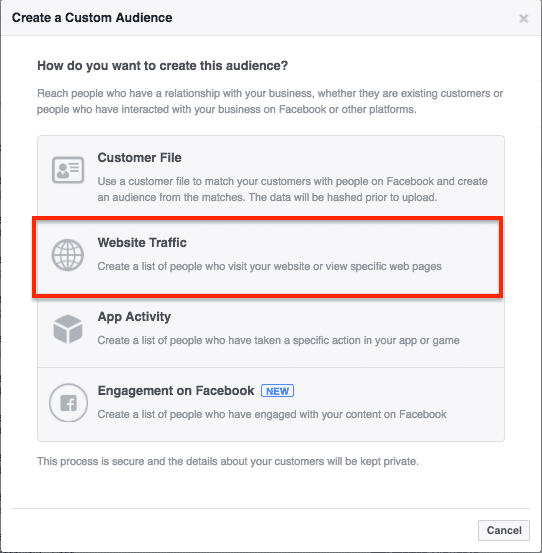 There are a number of great ways to use the website traffic Custom Audience’s on Facebook. If somebody is looking at your website they are obviously interested in doing business with you or one of the houses you are selling. But most people don’t make a decision on their first on their first visit. Wouldn’t it be great to be able to get your face in front of a potential vendor after you know they have been looking at you online. You could show them an ad where they can request an appraisal, show them a marketplace report, or ask them to get in touch with yourself. What about people that are looking at a listing you have for sale on your website. Wouldn’t it be great to be able to show them that listing again or other similar listings you have. You could even show them an ad asking them to get in touch about selling their house. The opportunities are endless when it comes to retargeting your website’s visitors and can bring in great results. So as Facebook can tell who has visited your site you must install a small piece of code in your website. 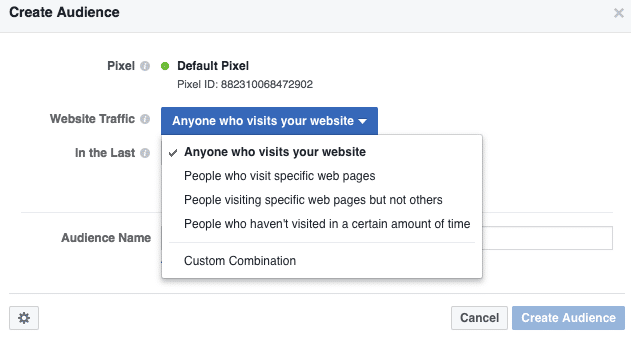 The Pixel allows Facebook to track users of your website and add them to your custom audience. Important Note: There can only be ONE Pixel per Ad Account! Enter a name for your pixel. Since there’s only one pixel per ad account, choose a name that represents your business. Your Facebook Pixel tracks multiple events depending on the page. You’ll need to add the pixel to every page of your website that you want to track. Ask your web guy for help doing this. Once you have added the pixel to your site you can check if it’s working with a free Google Chrome Extension, Pixel Helper. After your pixel is installed on your website your websites visitors will be tracked by Facebook and will be able to be used in your Custom Audiences. You then also have the option to set a range on how recently the person visited your website. To get best results when first starting out keep the “In the Last” number of days smaller as it is easier to re-engage somebody that visited your website within the last week than over a month ago. The longer you have this period the more people will have forgotten that they were on your website and will be less likely to take action on an ad they see from you. Once you have created a custom audience it is time to start marketing to them. Creating an ad that targets your custom audience is really simple. 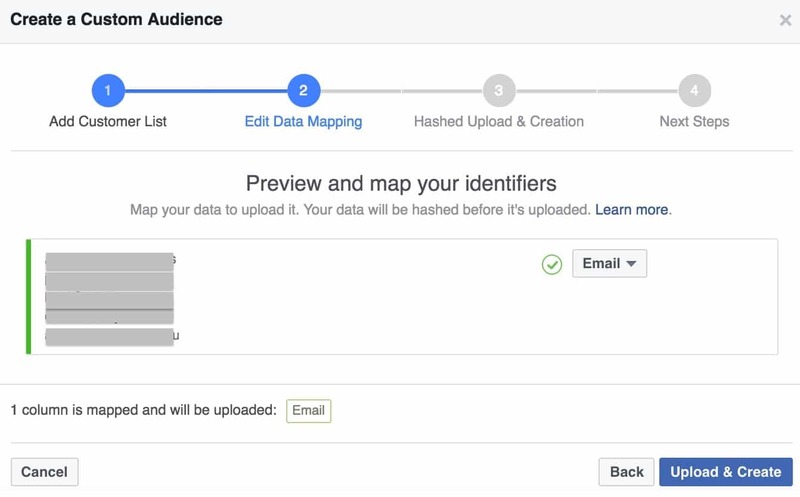 When creating an ad in Facebook Ads Manager, the first option you get will be to select a custom audience. Just start typing the name of the Custom Audience you want to target and select it from the autocomplete list. 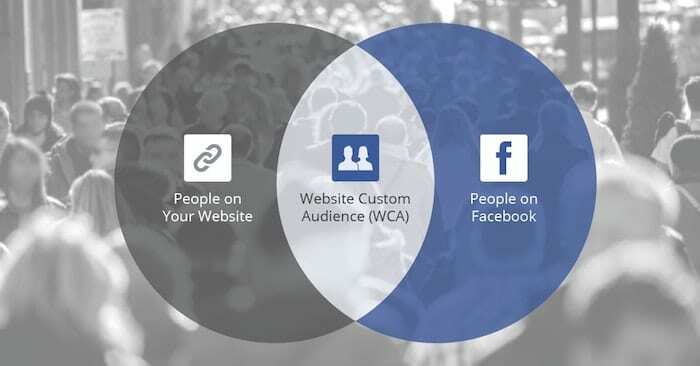 If you want, you can select more than one Custom Audience to increase your reach. In the example below I have selected to run an ad to a custom audience of people that have visited my website in the last 30 days. How many times have you been in the middle of something online but got distracted and not come back to the website. It happens time and time again. Wether it’s people getting distracted or just not being quite ready to get in touch with you about selling their home, there are lots of potential clients that leave your website that you never hear from. Being able to get your brand in front of somebody that was actively looking at your profile online a second and third time gives you a massive opportunity to get more seller leads and close more listings. 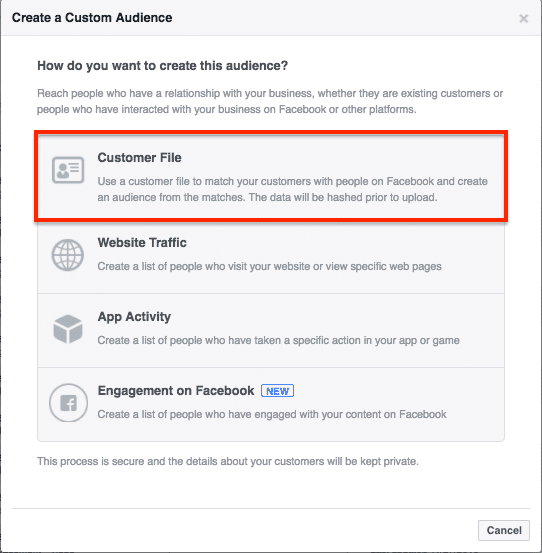 Facebook allows you to create custom audiences of people who visit specific pages on your website. That means that you can create an audience of people looking at a listing once and show it to them another time or even show them other similar listings that you have available. This simple technique to re-engage potential buyers won’t cost you much money at all however your brand and your listing will be displayed in front of everyone that has been looking at the property. This is also a great plus that you can go into a listing presentation with and be able to show your vendors how you can drive more targeted buyers back through their property. 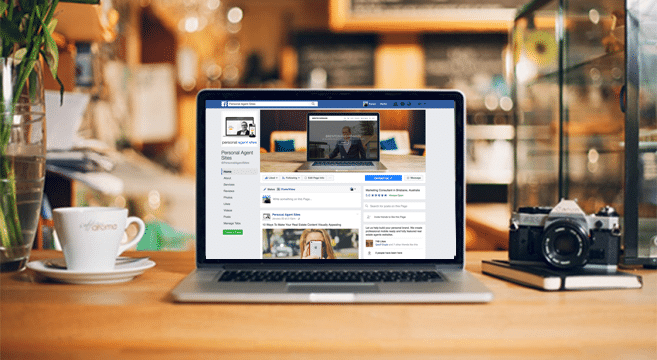 If you’ve just sold a property or got a great result for a vendor that you want to share, a Facebook ad targeted to your Custom Audience can be a great way to get your message in front of your ideal clients multiple times. You can show your great results to your database in a custom audience and combine that with people that have been recently visiting your website. Repetition is the key in any brand building and marketing exercise. Continually showing your success’s to a group of people interested in you that have visited your website and signed up to your database is a great way to get more leads. In this article we’ve gone over a lot of powerful ways to get your brand in front of your most targeted potential clients. One of the best ways is through retargeting people that have been looking at your profile online. These people are clearly looking for a real estate agent and are interested in you. However a lot of those people you will never hear from. That’s where retargeting can be a massive benefit. With a very small budget you can your brand and message in front of those people multiple times. We all know that the majority of sales aren’t done on the first interaction. The same applies online when generating leads. 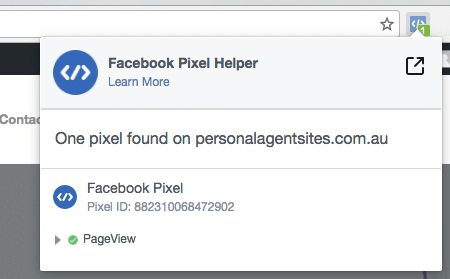 Obviously you won’t be able to place a Facebook tracking pixel on realestate.com.au and your company website. 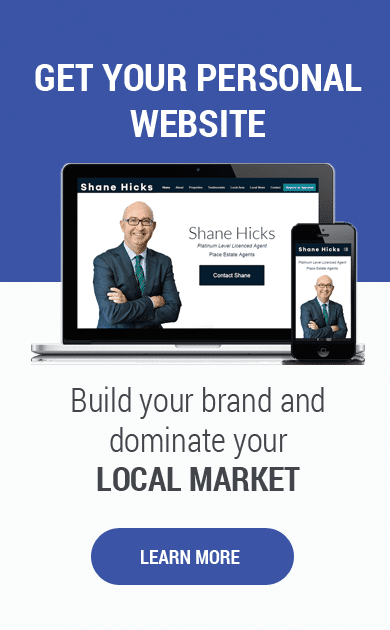 That’s where having your own personal website is a massive benefit. Not only does the website make you look more professional and stand out from the other agents in your area. You have the opportunity to create custom marketing campaigns like the ones we have gone over to capture more leads from the people that are already looking at you now. If you’d like to talk about setting up your own personal marketing platform get in touch.